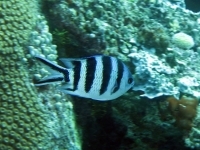 White to light grey body with 5 wide black, vertical bars and 2 black streaks on the tail fin. Often in schools. Unassessed by the IUCN Red list. 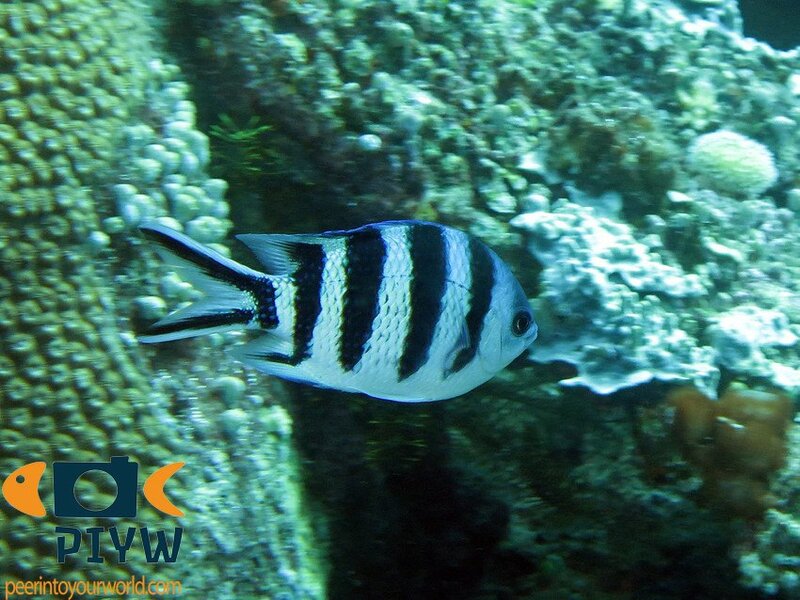 Common in the Indian Ocean and Pacific. Red Sea, Indian Ocean to French Polynesia. They prefer coastal and inwards reefs. Oviparous breeding and distinct pairing during breeding. Eggs are sticky and attached to the substrate. The males guard and aerate the eggs.